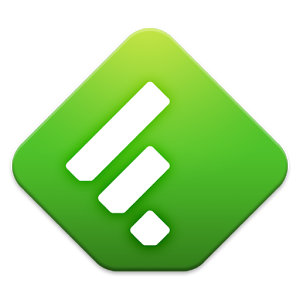 Feedly has replaced the much-loved Google Reader for quite a few of you, so we tend to pay attention when a new version hits the Play Store. 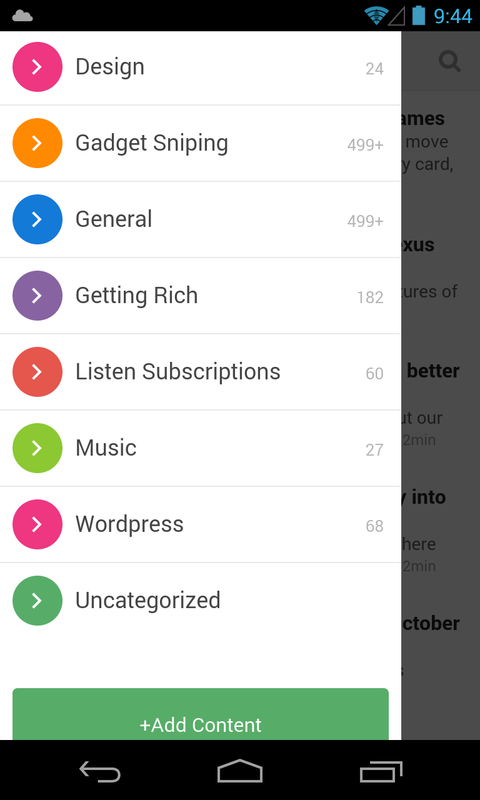 Today the Android app has been updated to version 17 with a laundry list of improvements and tweaks. There's nothing game-changing in there (though arguably the "300% faster start time" is a big deal), but it does include "support for Android Kitkat." 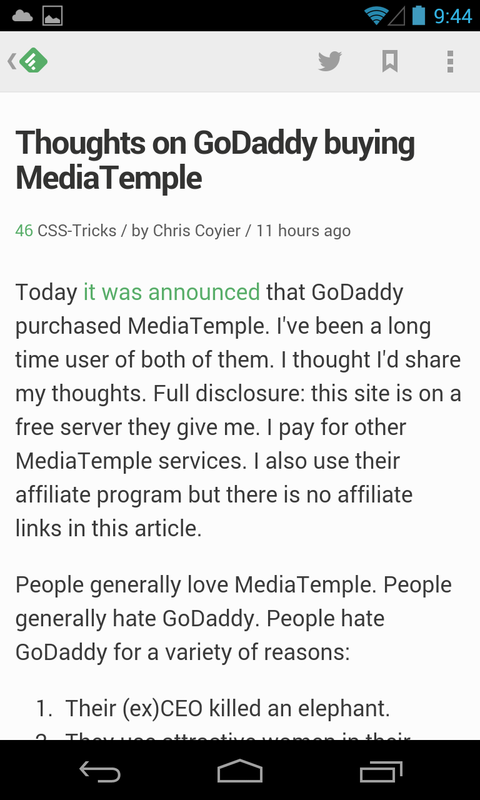 No, the developers are not elaborating on that. 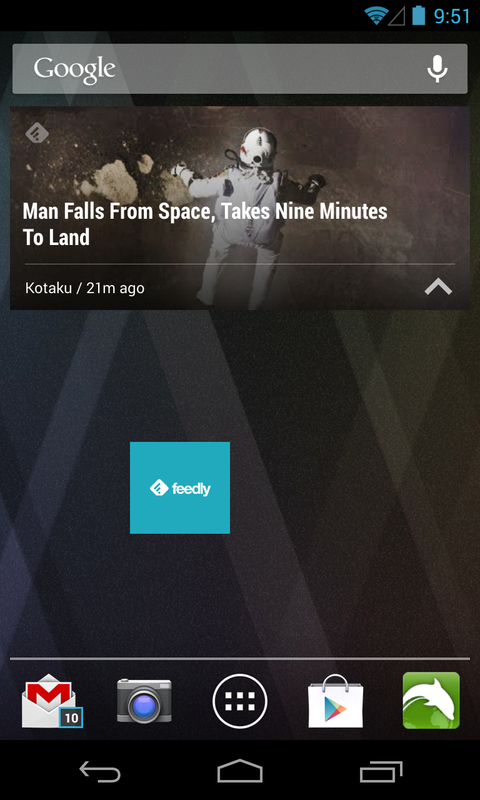 In addition to the updated navigation menu, the biggest visual change is probably the adjusted widget. 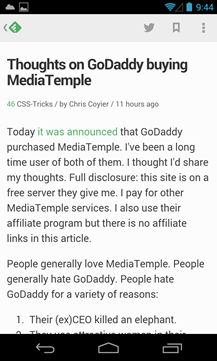 It's a little cleaner with a larger focus on the image, but it still only displays one story at a time, which is why yours truly is sticking with the Feedly API-compatible Greader. 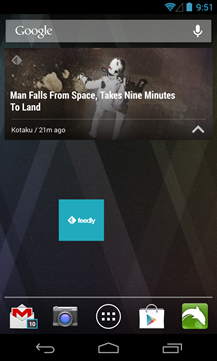 Feedly now works with the Samsung Galaxy Gear, assuming that you've got the Samsung smartphone that is also required, and can share directly to Facebook. 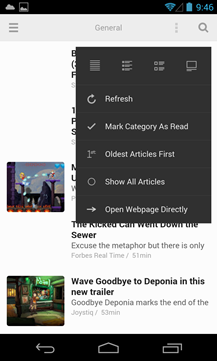 There's a new Discover section for casual browsing, enhanced feed searches, and searches within your entire backlog for Feedly Pro users. 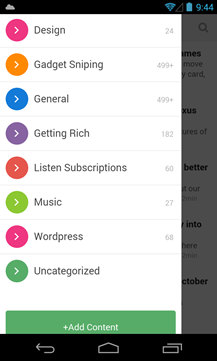 Other additions include more fluid scrolling and a few adjustments to fonts and layout should make the app more subjectively appealing. Pro users finally get article search while everyone benefits from enhanced feed search. 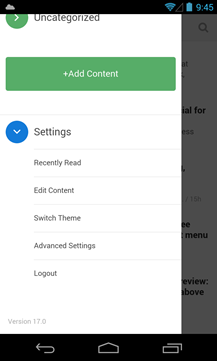 The rider of Android 4.4 support is more than a little strange, but maybe the Feedly developers know more than we do: the official post on the Feedly blog thanks the Google Android and Google Chrome teams for their help. Feel free to speculate.